I am writing to you today to let you know that my boyfriend and I had a wonderful experience at your Novi location…The finished product was more than we could've hoped for. [Frames Unlimited] did an amazing job! Alicia Z. 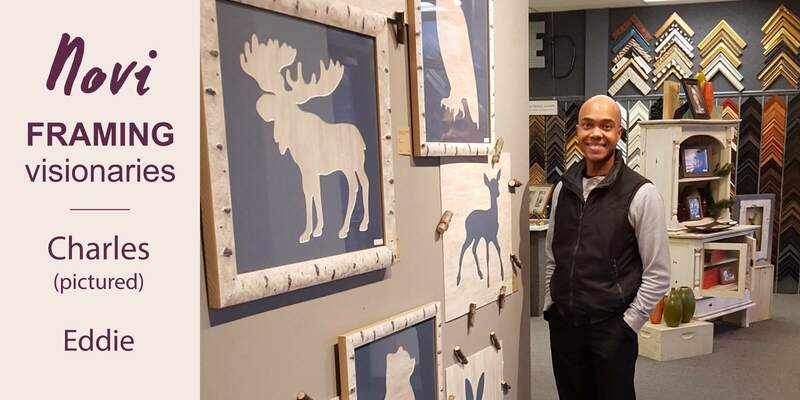 & Patrick L.
The service by [Frames Unlimited] was excellent even when [the Novi store] was overwhelmed with several customers at once…The two posters and one piece of child's art were all completed before the dates I was given and were beautifully done.